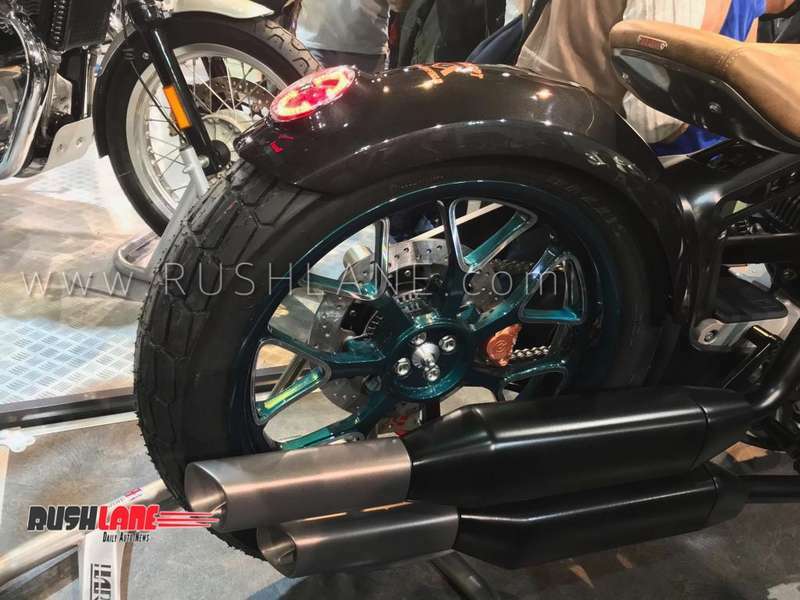 The motorcycle gets twin disc brakes upfront. 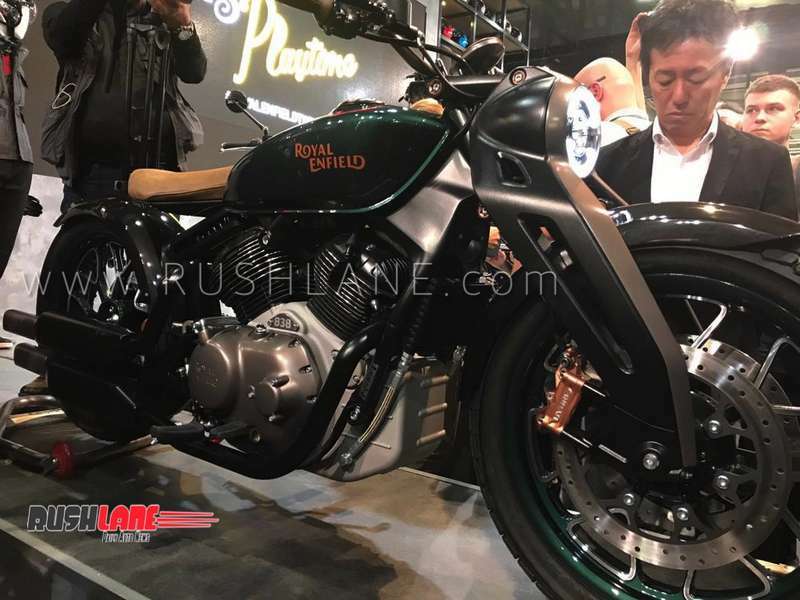 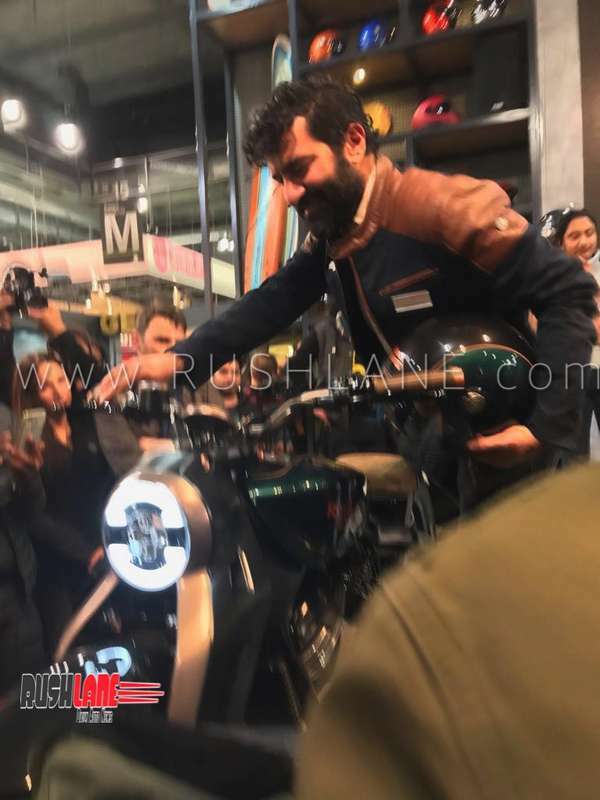 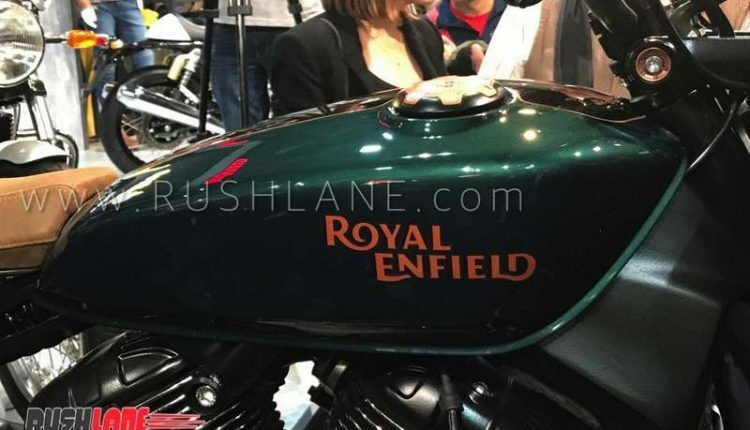 Royal Enfield has surprised the motorcycling fraternity by teasing its new flagship product last week. 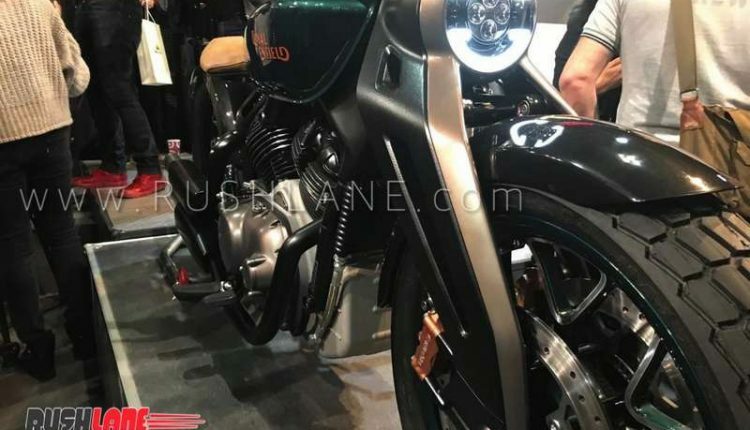 In a build up to its world premiere at EICMA 2018 in Milan on 6th November, the Indian retro classic motorcycle specialist has released another teaser, this time with a few visible details. 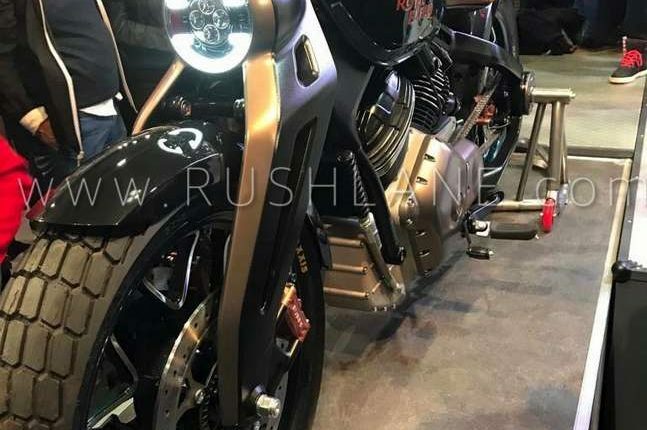 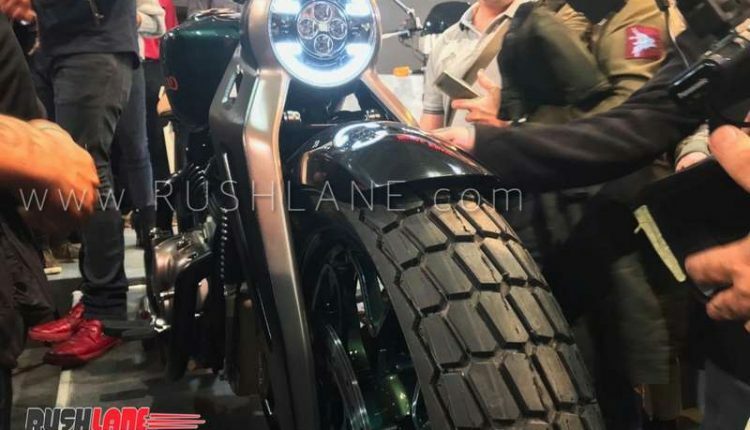 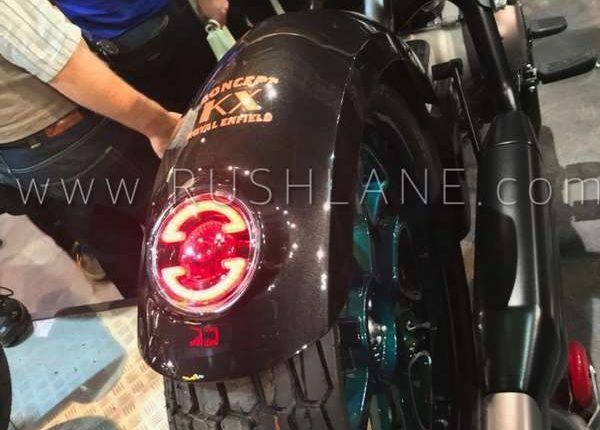 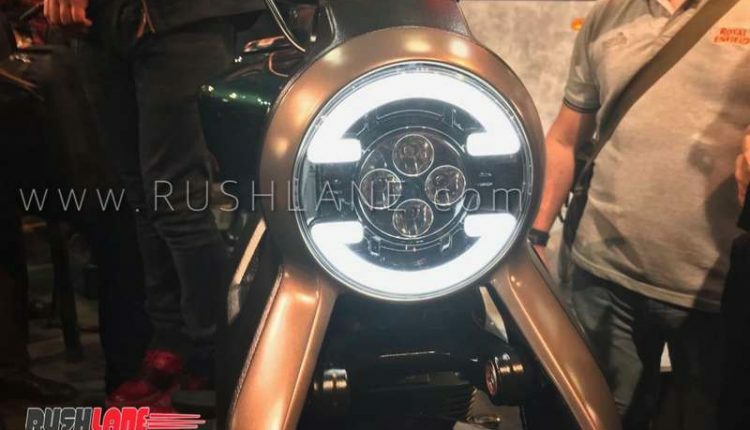 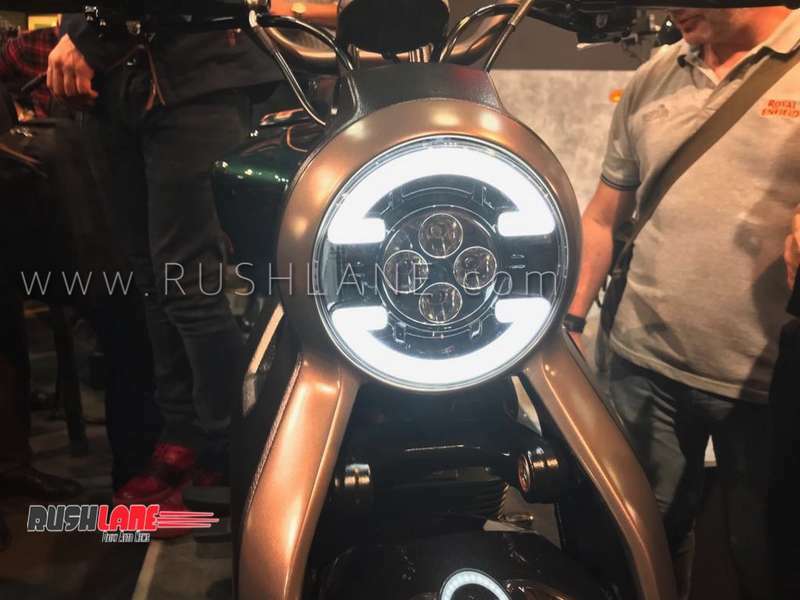 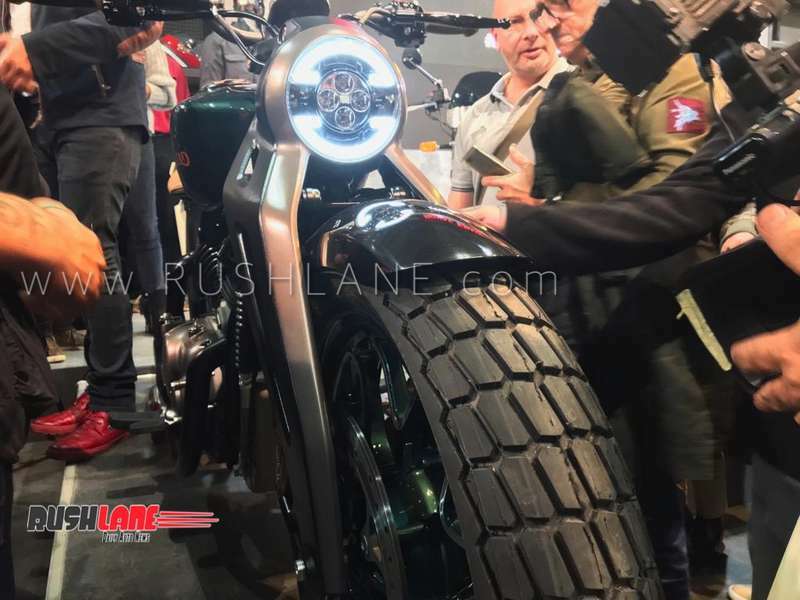 The slow slung motorcycle adopts the Bobber body style and thanks to the new teaser, we can confirm that it will be equipped with twin front discs (strongly signalling a high displacement engine) and a full LED headlamp unit with DRL outline. 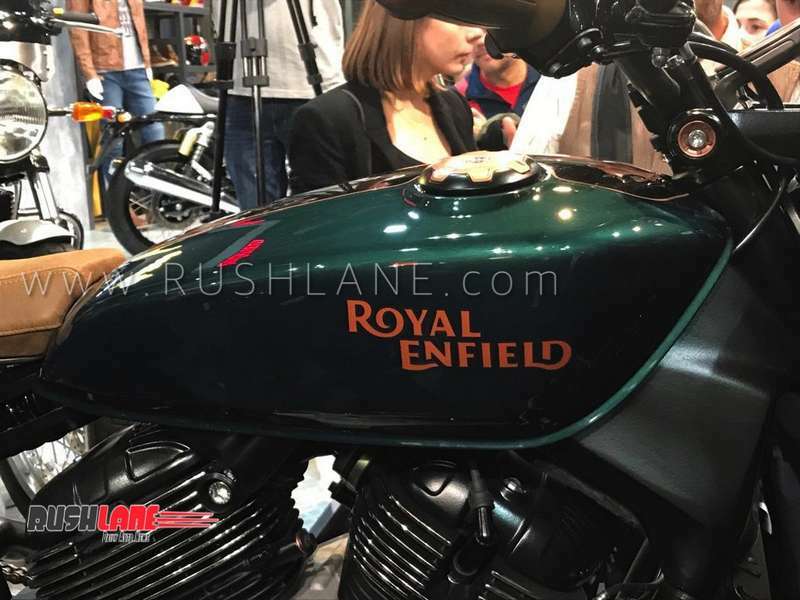 True to the Bobber design theme, the new flagship Royal Enfield features a flat handlebar, long wheelbase, and a low cantilevered saddle. 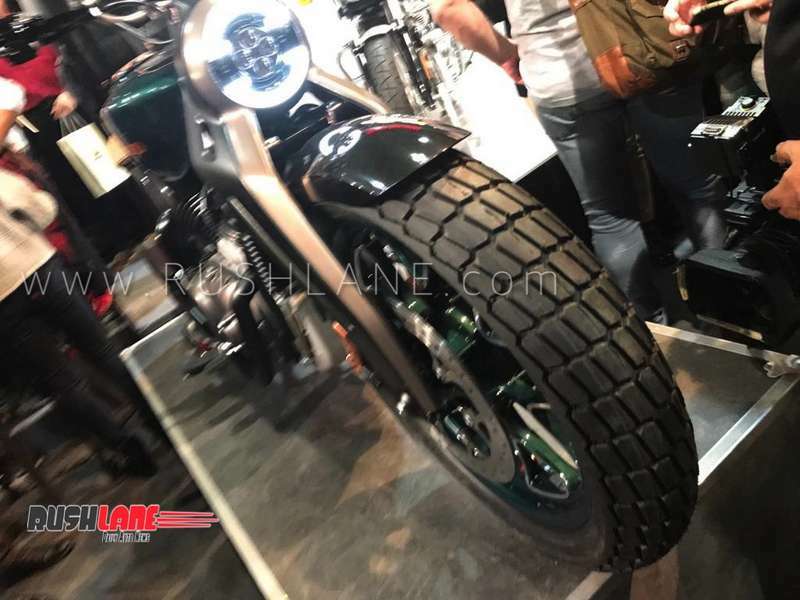 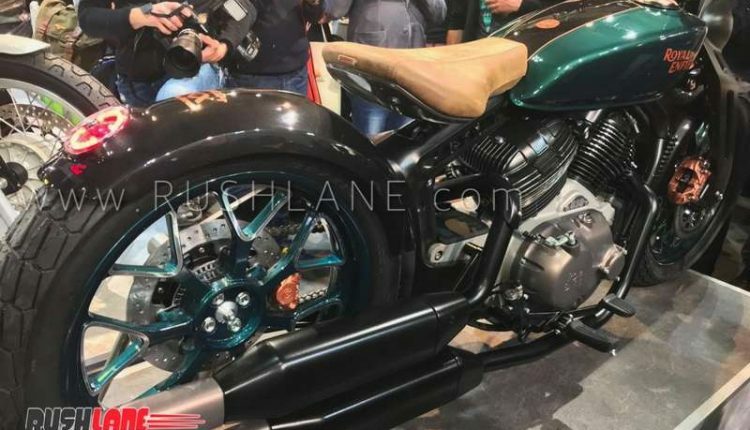 The teaser also reveals that the Royal Enfield Bobber features alloy wheels, and twin silencer canisters. 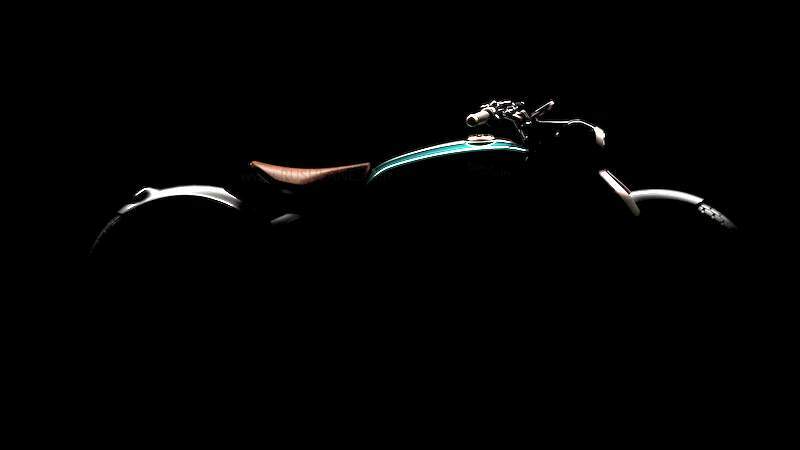 Only the engine and fuel tank are left to our imagination. 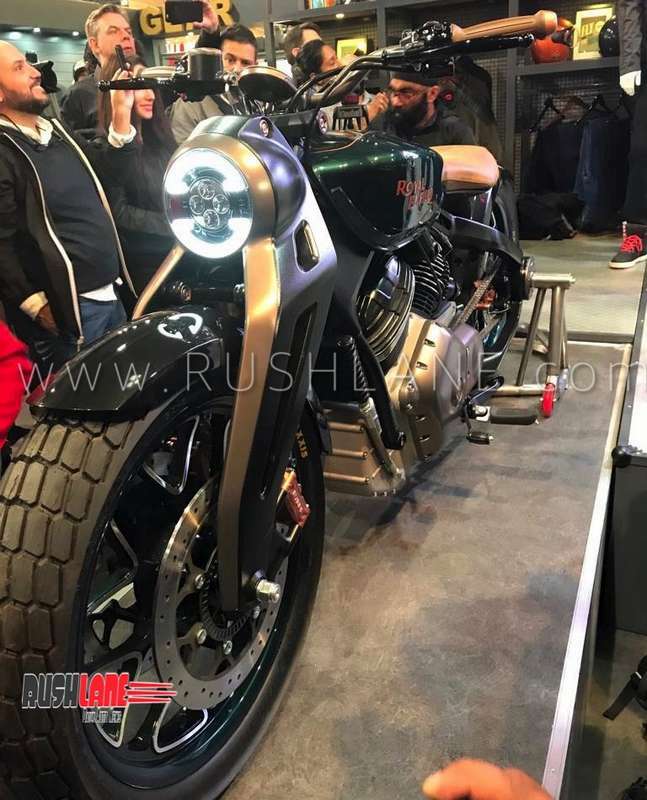 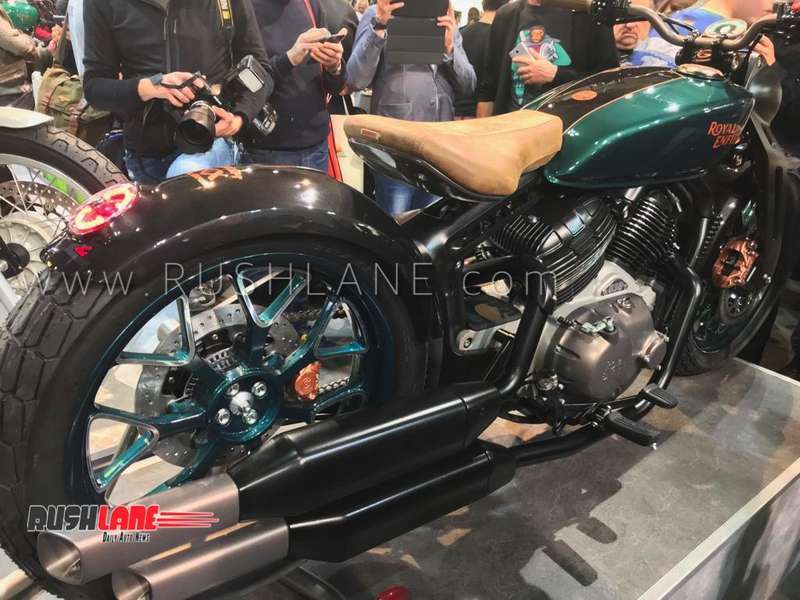 According to previous reports, the new motorcycle has been developed with assistance from the heritage-rich Indian Motorcycles. 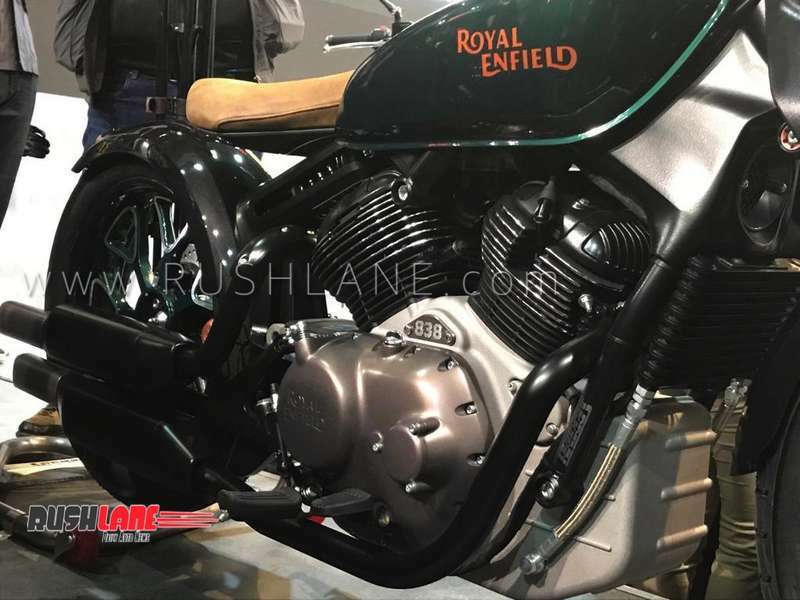 The new engine, a twin-cylinder unit displacing 834 cc, is expected to have a power output in the vicinity of 90 PS, making it the most powerful Royal Enfield. 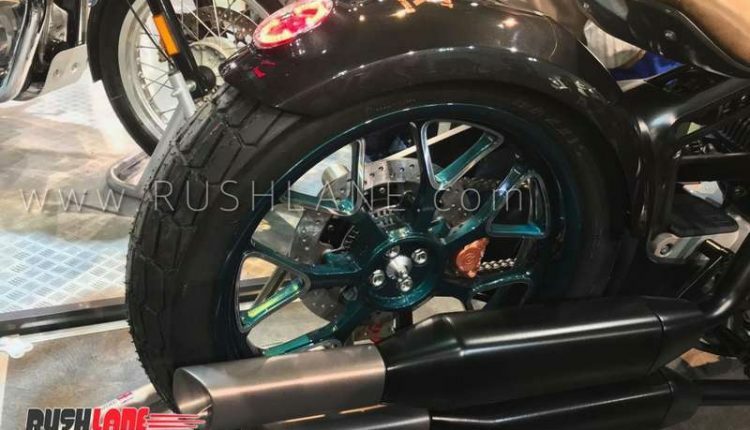 The motorcycle appears to be equipped with telescopic front fork and monoshock rear suspension but other details are under wraps as of now. 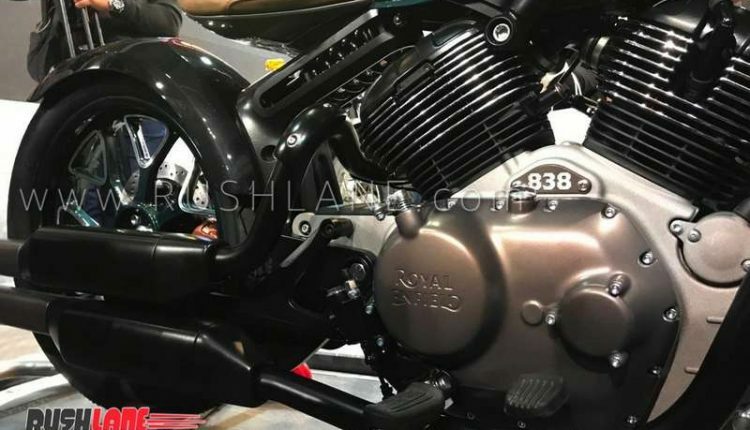 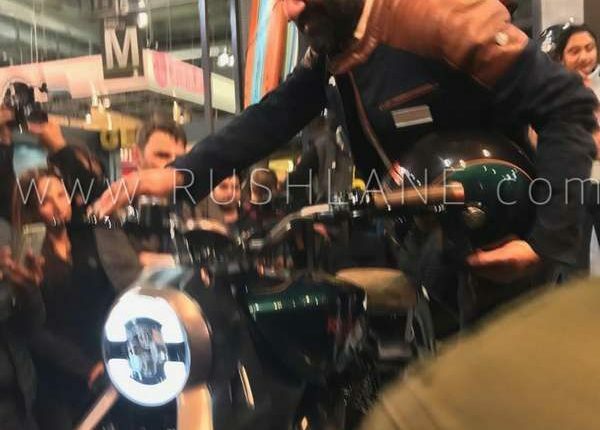 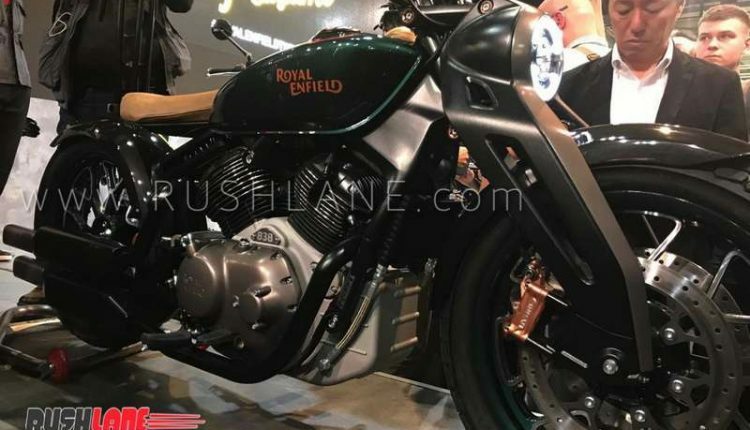 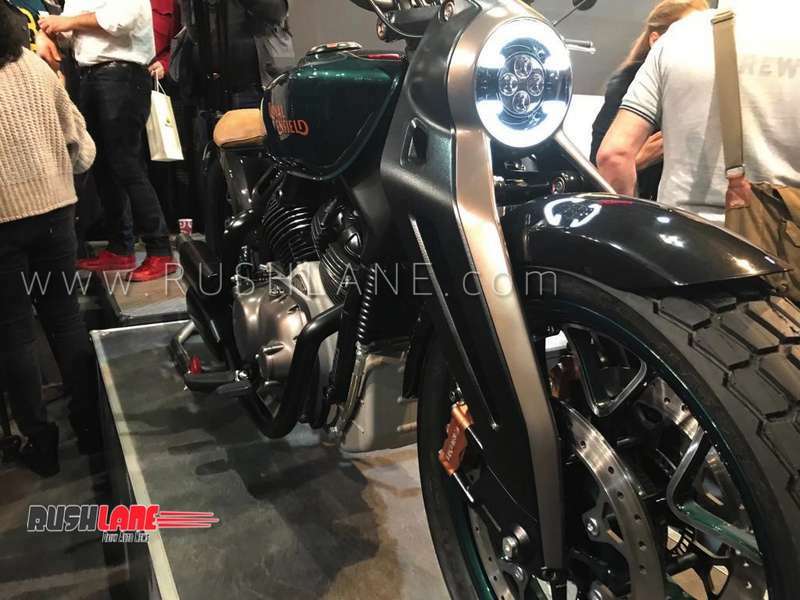 The Royal Enfield Bobber 830 is likely to be showcased as a near production concept at the EICMA 2018. 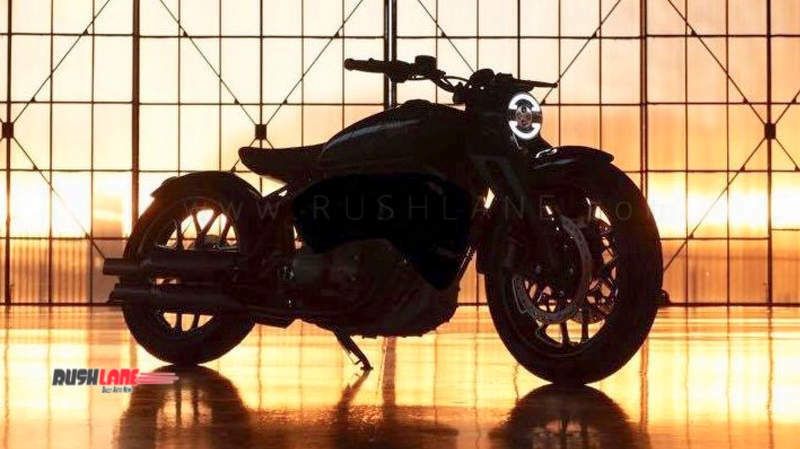 The product could take nearly a year before hitting the streets as the company is currently focusing on realizing the full potential of the 650 twins. 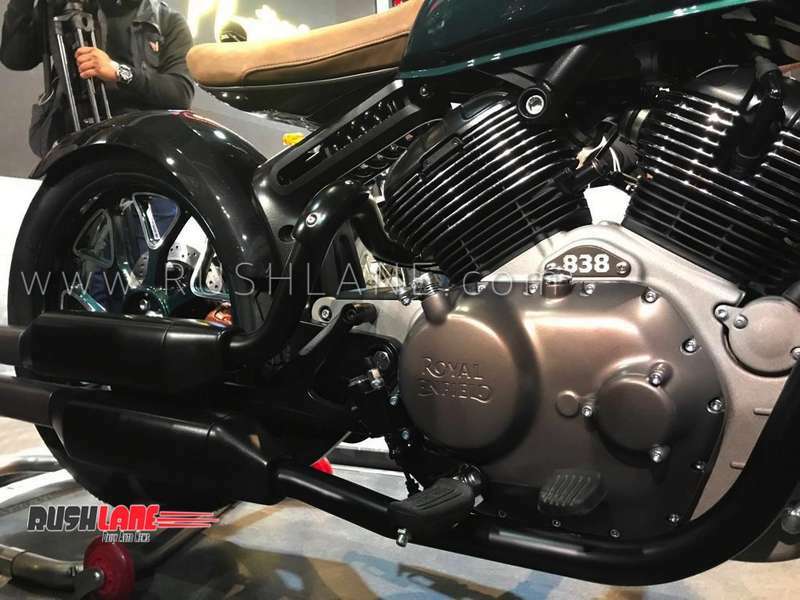 In addition to the Bobber, the company is also said to be developing another high-displacement platform to strengthen its premium portfolio. 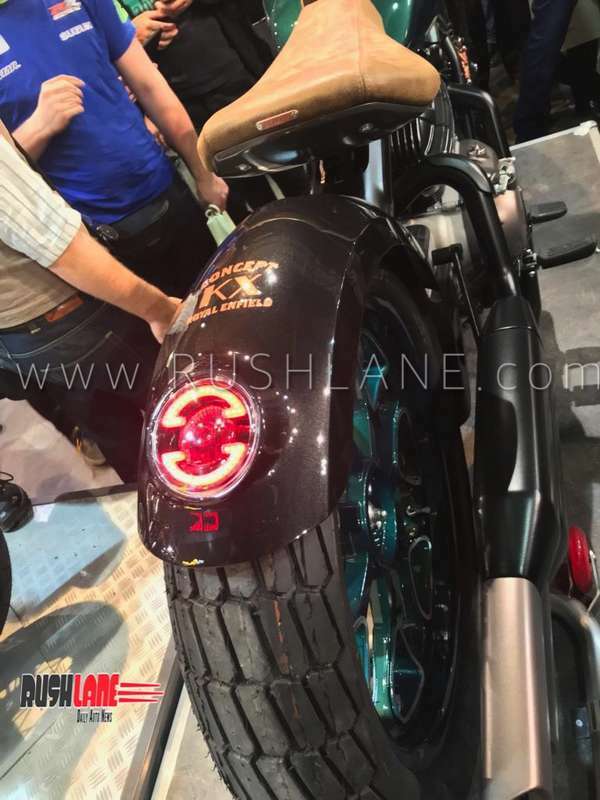 The new Bobber will help RE to mount a strong assault on Harley Davidson’s entry level cruisers. 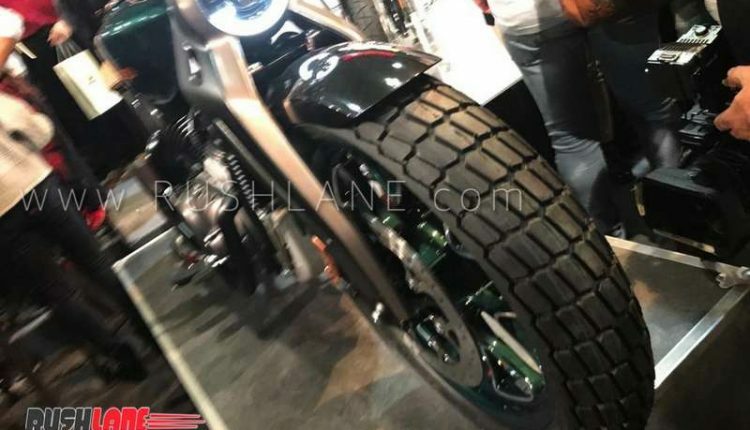 More details about the motorcycle is expected to be released tomorrow during the world premiere.UPDATE – Bobber has been revealed. 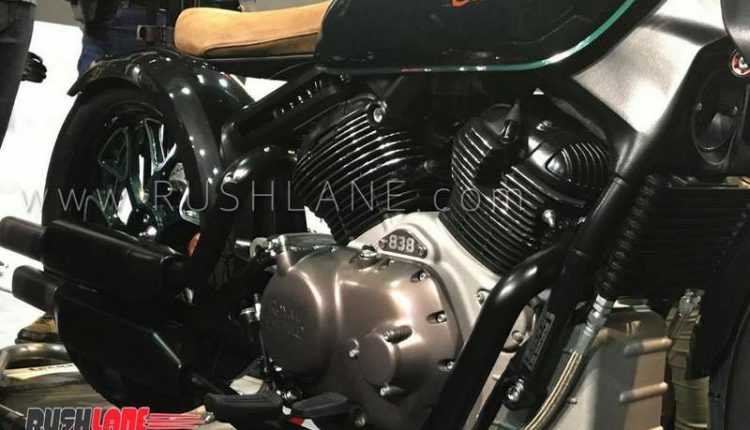 Below are the images.